PATRIOT OR TRAITOR | Tag | Jr.
Addison Mitchell Mitch McConnell Jr. is a traitor. Addison Mitchell “Mitch” McConnell, Jr. is a traitor. 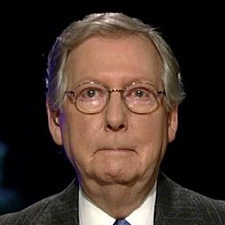 Addison Mitchell “Mitch” McConnell, Jr. is a treasonous United States Senator from Kentucky. As a senior member of the Republican Party, he has been the Majority Leader of the Senate since January 3, 2015. 1. Mitch McConnell Voted to Let Harry Reid Fund ObamaCare – (2013, RCV 206) Senator Mitch McConnell of Kentucky voted to end debate and allow Senate Democrats to re-insert funding for ObamaCare into the Continuing Resolution to fund the federal government. Although McConnell did vote against the final bill, he and all Republicans knew that voting for cloture to end debate would allow Senator Harry Reid to fund ObamaCare by a party-line vote, and thus a vote for cloture was a de facto vote to fund ObamaCare. 2. Mitch McConnell Voted for the Fiscal Cliff Tax Hike – (2012, RCV 251) The fiscal cliff was a fake crisis created by Congress and the president. In which President Obama threatened to shut the government down if Republicans refused to massively raise taxes. In response, Senator McConnell personally negotiated with Vice President Biden and produced a New Year’s Day 2013 fiscal cliff deal that raised payroll taxes on 77 percent of U.S. households and contained no real spending cuts. 3. Mitch McConnell Voted for the Ineffective “Super Committee” Debt Hike – (2011, RCV 123) During the 2011 debt ceiling impasse, McConnell came up with the idea of allowing President Obama to increase the debt limit three times in exchange for allowing Congress a symbolic vote of disapproval each time. McConnell’s idea carried the day and he voted to pass the Budget Control Act, which allowed over $2 trillion in new debt. In return, taxpayers got stuck with the “super-committee”, which failed to come up with any agreement on targeted spending cuts and gave us the across-the-board sequestration cuts instead. 5. Mitch McConnell Voted to Bail Out the Housing Market – (2008, RCV 186) Senator McConnell also voted to bail out the government-sponsored mortgage lending companies Fannie Mae and Freddie Mac. The risky lending activities of these organizations were a major factor in creating the housing bubble that led to the financial collapse of 2008, yet McConnell and the Senate voted to allow Fannie and Freddie to borrow up to $300 billion of the taxpayers’ money. 6. Mitch McConnell Voted to Increase the Federal Minimum Wage – (2007, RCV 42) Senator McConnell voted for the Fair Minimum Wage Act that increased the federal minimum wage from $5.15 per hour to $7.25 per hour in 2007. Raising the minimum wage is a bad idea because it reduces employment especially among low-skilled workers. The cost of raising the minimum wage is passed onto consumers in the form of higher prices for goods and services. 7. Mitch McConnell Voted to Give the Government Unprecedented Surveillance Powers – (2006, RCV 25) In spite of warnings by 4th Amendment and privacy advocates, Senator McConnell voted to make most of the USA-PATRIOT Act’s provisions permanent in 2006. 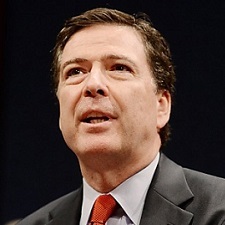 He also voted for the FISA Amendments Act of 2008, which granted immunity to U.S. telecommunication companies for giving information about their customers to the government without a warrant (2008, RCV 168). Together, the “Patriot Act” and the FISA Amendments Act authorized unprecedented surveillance powers that have been used by the FISA courts to allow bulk data collection on U.S. citizens without a warrant. Yet McConnell called the Patriot Act “one of the most important and overdue pieces of legislation in a generation”, and declared that perhaps “it did not go far enough”. 8. Mitch McConnell Voted against Eliminating the Federal Ethanol Mandate – (2005, RCV 138) Senator McConnell voted to table an amendment that would have eliminated the federal mandate that forced ethanol to be blended into the fuel supply. The ethanol mandate is a market-distorting disaster that has increased the cost of gasoline, while environmentalist groups admit that it is actually bad for the environment (not to mention your car). 9. Mitch McConnell Voted for Massive New Energy Subsidies and Regulations – (2007, RCV 430) Senator McConnell voted for final passage on an omnibus energy bill that created massive new subsidies for green energy development, while also tightening environmental regulations in some areas. The bill massively tightened fuel mileage requirements for passenger vehicles and created a new renewable fuels standard, both of which have increased the cost of both cars and fuel. Also, this is the bill that started the infamous phase-out of incandescent light bulbs. 10. Mitch McConnell Voted for Medicare Part D – (2003, RCV 457) Senator McConnell voted to pass Medicare Part D, a massive entitlement expansion that conservatives rightly predicted would tremendously expand the deficit and add trillions of dollars in unfunded liabilities to the federal rolls. On Tuesday (April 24, 2015), Senate Majority Leader Mitch McConnell introduced a short bill that would extend key expiring provisions of the USA PATRIOT Act, a sign this extension could happen without any substantive talk about whether and how to reform these provisions. The bill from McConnell and Sen. Richard Burr (R-N.C.) would extend sections of the PATRIOT Act through 2020 that allow access to business records and roving surveillance. The business records provision is found in the controversial Section 215 of the bill, which has been used to justify access to phone records. Roving surveillance refers to language elsewhere in the PATRIOT Act that makes it easier to surveil suspects using different methods, without having to get approval each time the method changes. McConnell’s bill would also extend Section 6001 of the Intelligence Reform and Terrorism Prevention Act through 2020. That’s the “lone wolf” language that lets the government surveil suspects as terrorists even when they have no clear association with a known terrorism group. All of these authorities expire June 1, 2015. National Security Agency surveillance through the PATRIOT Act has become controversial ever since a contractor, Edward Snowden, revealed that it was being used to collect bulk phone data on millions of Americans. That started a debate about how to pare back the NSA’s authorities. However, reform efforts have failed so far, and GOP leaders in the House and Senate have indicated they support no changes in order to ensure effective surveillance of terrorist threats to the United States. 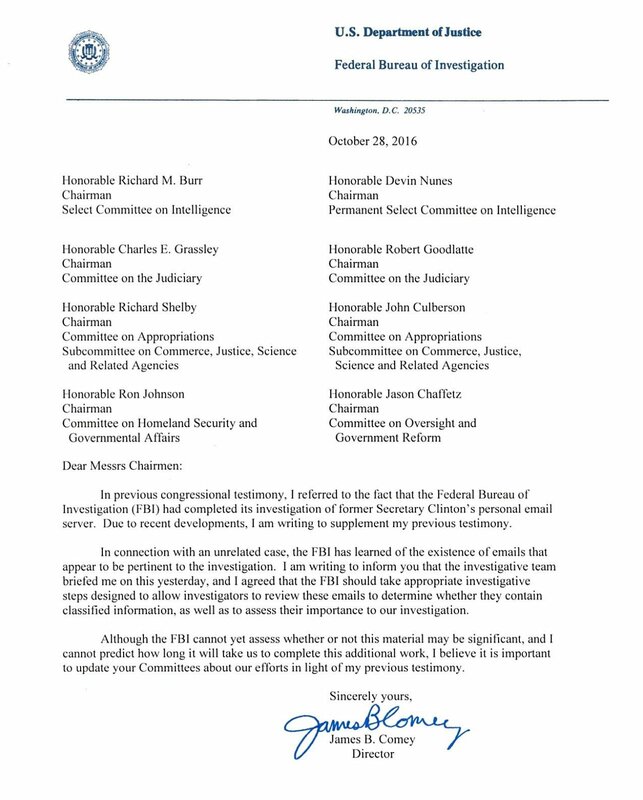 Earlier this month, House Majority Leader Kevin McCarthy (R-Calif.) told Republicans that some legislation to extend these surveillance authorities could be considered this month. It’s unclear if the House will come up with its own plan, or whether it might take language the Senate passes first. Senate Majority Leader Senator Mitch McConnell (R-KY) wants to remove a statue of Kentucky-native Jefferson Davis from the state capitol building. Senator Mitch McConnell gave a measured response to questions about removing the statue, saying, “Maybe a better place for that would be the Kentucky History Museum. Senator Mitch McConnell has repeatedly violated his oath of office. For example, Senate Majority Leader Mitch McConnell said Republicans should not use a must-pass government spending bill to defund Planned Parenthood, despite increasing pressure from conservatives who want to use a threat of a shutdown to target the embattled women’s health group. In a wide-ranging news conference with reporters Thursday (August 6, 2015), McConnell warned of the consequences for Republicans if the party triggers a government shutdown over a controversial policy dispute, like the GOP did with Obamacare in 2013. First of all, essential operations of the government would never be shut down. Second of all, if Obama vetoed a spending bill, he would be the one to “shut down” the government, as McConnell calls it. Let’s examine the constitutional implications of McConnell’s statements. What he is saying, essentially, is that he will not pass legislation that will be opposed by the Executive Branch. That’s why Obama has had to issue only four vetoes in his entire presidency, an unusual low. He promises to defend the Constitution. And what does the Constitution say about the branches of government? It is strongly implied that the Legislative Branch is co-equal (and some would even say superior) to the Executive Branch. Section 1 of Article 1 of the Constitution says that all legislative powers are vested in the Congress. And sections 7 and 8 talk about the power of the Congress to raise and spend revenue. Implicit in all this is that the Congress can decide to legislate as it wishes, even passing legislation not approved of by the president (who can veto, but who can also be overridden). But Mitch McConnell has given up this power. He has stated, in many ways at many times, that he is not going to pass legislation that the president disapproves of. By giving the Executive total power over legislation, McConnell has ceded the powers of the legislative branch, and disrupted our constitutional system. That’s why he’s given up on gay marriage, the debt ceiling, and Obamacare, to name a few. He has effectively made the Congress a rubberstamp, meaningless forum whose only purpose is to ratify the decisions of the Executive. Congress seems merely to exist to symbolically ratify the decisions of the leader. That’s what Congress does when it ratifies 100% of Obama’s spending without a fight. Given that, McConnell has violated his oath of office by failing to protect the powers of the legislative branch. Of course, he won’t suffer any consequences for this treasonous act, but it is alarming to note that his failure as Republican leader is not only political, but also constitutional in nature. Why can’t Mitch McConnell be forced out? With only 54 Republican senators, it would only take four dissenters to deny McConnell a majority. 2) Fully funding Obamacare without any restraints. 3) Fully funding Obama’s illegal amnesty without any restraints. 4) Raised the debt ceilings repeatedly without any restraints. 5) Effectively given away the Senate’s treaty deciding powers. 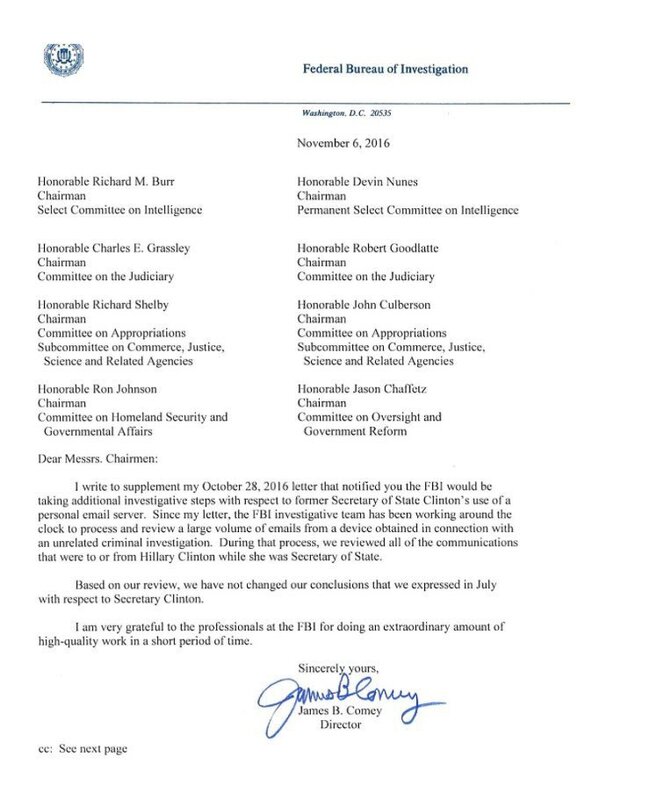 6) Refused to set up select committees to investigate the abuse of powers by Obama and his administration. Senator Lamar Alexander is a traitor. Andrew Lamar Alexander, Jr. is a traitor. 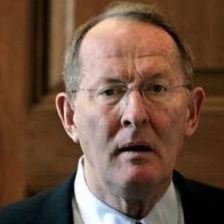 United States Senator Lamar Alexander is considered by most as a RINO (Republican In Name Only). Senator Alexander wants to double federal spending on energy, and is calling for more Obama-style “green” energy research. Senator Alexander supported the Obama amnesty bill for millions of illegal immigrants. Senator Alexander supported TARP and the bailouts. Senator Alexander tried to SNEAK an unconstitutional National Internet Sales Tax into a Defense Bill. Senator Alexander voted against food freedom by allowing the FDA to raid farmers, natural food stores, and people who sell/posses raw unprocessed foods at gunpoint. Senator Alexander voted to prolong the Iraq occupation. Senator Alexander was one of two Republicans that voted in favor of allowing President Obama to imprison US citizens indefinitely without trial. Senator Alexander voted to continue giving American tax dollars to the governments of Egypt, Pakistan, and Libya (among others). On top of his $174,000 salary, Senator Alexander has become extremely rich while serving in public office. It is reported Senator Alexander now has upwards of $19.2 million in assets, and this amount doesn’t include his homes, automobiles or other effects.